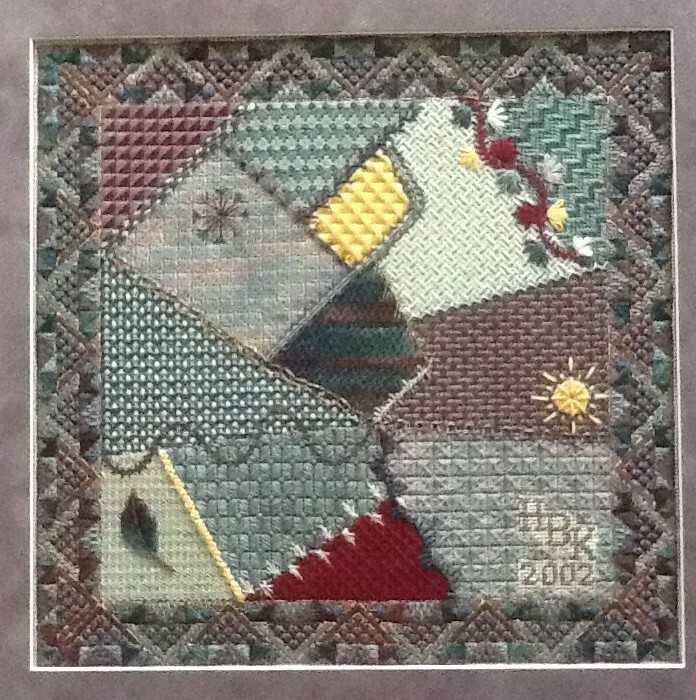 A Crazy Quilt was our NJNA project for 2002. In January, Mark Hopkins, who was our program chair, distributed a canvas with the 13 spaces marked on it, to each of us who chose to participate. We were to choose whatever colors and threads we wanted. Each month one or two of the members would teach one or two stitches to the group. The only limit was what stitch went in each spot. We could do any variation of the stitch we wanted, using whatever colors we chose. 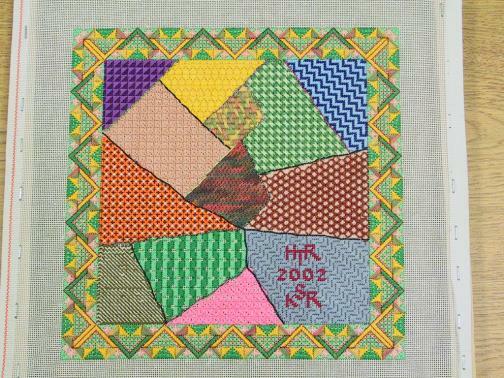 It was great fun seeing everyone’s crazy quilt evolve. Each one was so wonderfully different from the others. Tony Mineri came to two of our meetings. He designed an exquisite border and taught it to us on one evening. He also taught us embellishment options for decorating the seams of our crazy quilt.